When a Bard IVC filter is not retrieved from the body, serious injuries and even death can result. The small cage-like device has been known to fracture and migrate inside the body causing perforation of tissue and organs, pulmonary embolism, and severe chest pain. The mass tort litigation attorneys at Goldberg Weisman Cairo can help you get the compensation you deserve through a Bard IVC filter lawsuit. With years of experience fighting for the injured and securing tens of millions of dollars in verdicts and settlements for our clients, we have the resources and determination to get you the justice you are entitled to for your suffering. As the largest personal injury law firm in Illinois, the class action lawyers at Goldberg Weisman Cairo have years of experience representing injured victims in Chicago, Peoria, Burr Ridge, Libertyville, Rockford and the surrounding areas. If you have suffered because of this dangerous IVC filter, contact our offices today for a free consultation to discuss your legal options and determine if filing an IVC filter lawsuit is right for you. We are committed to helping you get justice. An inferior vena cava (IVC) filter is a small cage-like device that is placed inside the inferior vena cava in patients with deep vein thrombosis or who are at a high risk for developing pulmonary embolism. 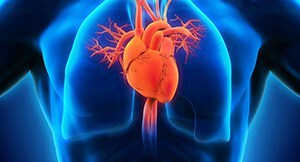 The inferior vena cava is the main blood vessel that pumps blood from the lower portion of the body back to the heart. By placing the IVC filter in this vessel, it helps prevent blood clots that develop in the lower portion of the body from travelling to vital organs, such as the lungs, heart or brain. If a blood clot reaches the lungs, it can cause a life-threatening pulmonary embolism. The Bard Recovery IVC and the G2 IVC Filter System are blood clot filters that are meant to be retrieved from the body after a short period of time. Unfortunately, in many cases, the device is never removed. Numerous reports have claimed that, over time, the IVC filter can fracture into small metal fragments that can migrate through the body, causing serious injury to blood vessels, the heart or lungs.If the device is deposited in an organ, further embolus, bleeding, serious pain and other severe injuries can result. If your blood clot filter has fractured or migrated and caused you injury, contact us today to learn more about filing a Bard IVC filter lawsuit to get the compensation you deserve for your injuries. The Bard IVC filters were approved by the U.S. Food and Drug Administration (FDA) in 2003 and were marketed as a retrievable device that was also safe for permanent use. However, studies have concluded that the device has a high failure rate and is prone to fracturing and migration. Despite the initial Bard Recovery IVC filter being pulled from the market in 2005, its replacement, the G2 IVC filter system, has also been reported to fracture and migrate through the body, causing serious injury. The FDA recommended that doctors monitoring patients with IVC filters remove the device as soon as the protection is no longer needed. The advisory was updated in 2014, recommending doctors remove the device 29 to 54 days after implantation. Surgery is the only way to remove a device and any fractured pieces. Hundreds of IVC filter lawsuits have since been filed on behalf of innocent patients who have suffered serious injuries. If you have experienced any of these dangerous side effects, an IVC filter lawsuit can help bring you justice. Learn more, by contacting us today.